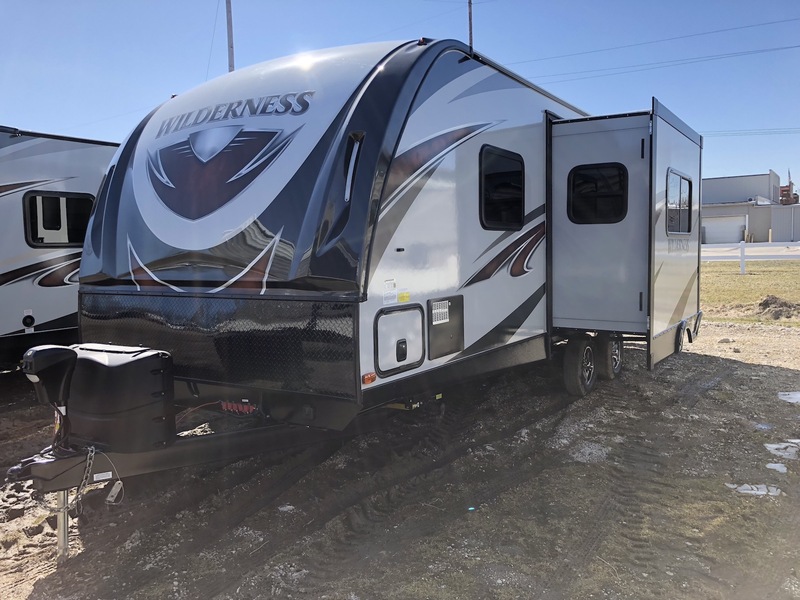 The Heartland Wilderness 2475BH bunkhouse travel trailer with an outside kitchen and capable of sleeping up to 8 people. 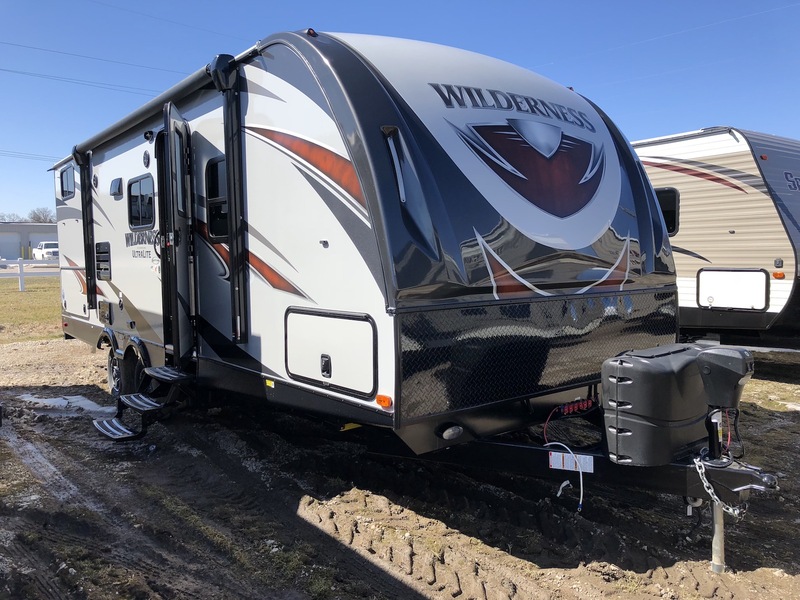 The Wilderness 2475BH is all aluminum built travel trailer, with 2in thick block foam insulation letting you and your family camp longer into the season. 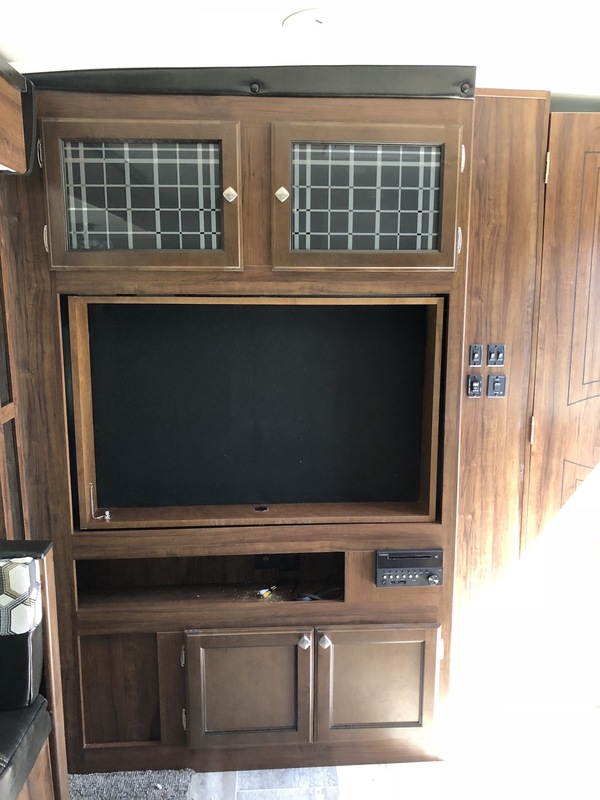 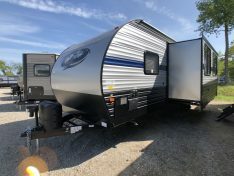 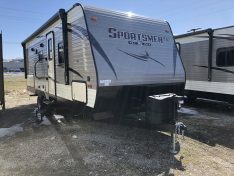 On the outside of this Wilderness travel trailer, it is equipped with a power awning, power stabilizer jacks along with an outside kitchen with refrigerator, two burner cooktop and a sink. 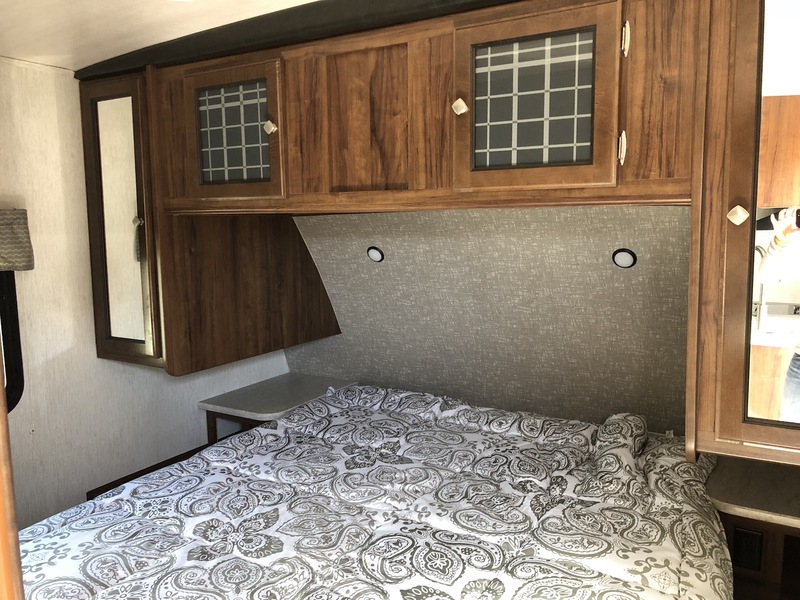 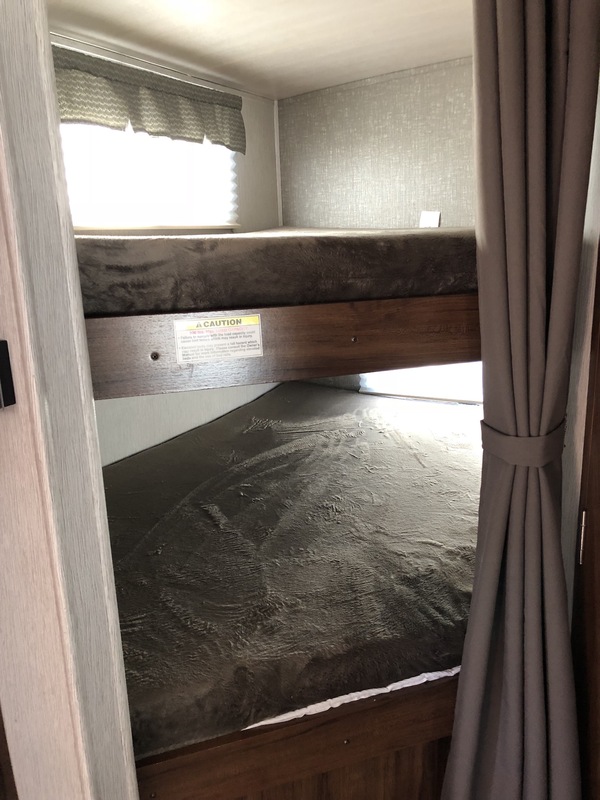 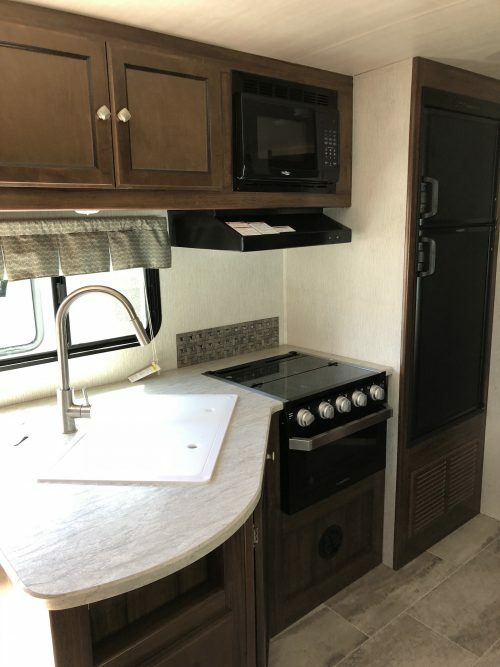 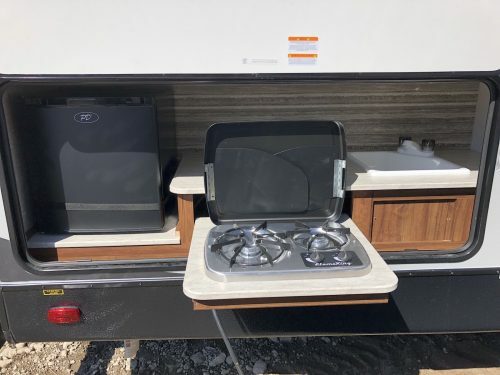 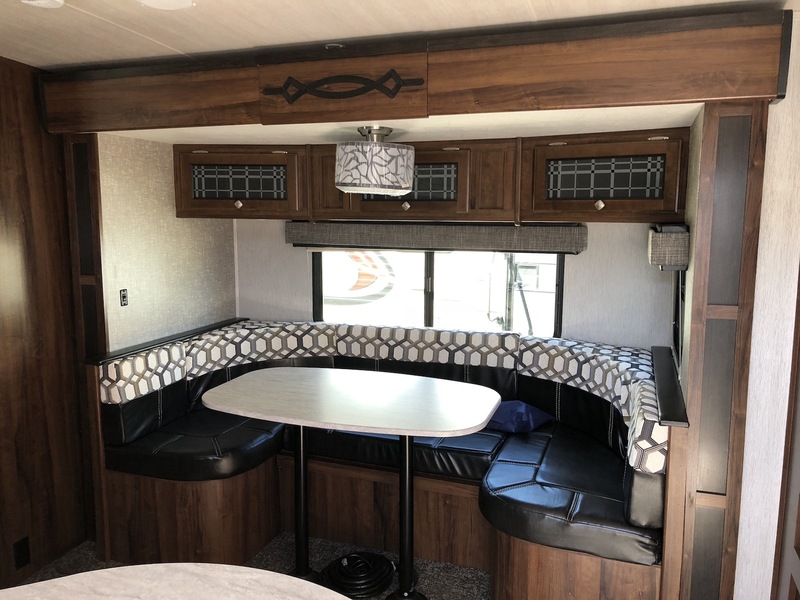 Inside the 2475BH by Heartland, you will notice the u-shape dinette slide out, across from the slide out is a full kitchen with great prep space, an Rv refrigerator, and double bowl sink. The Double over Double Bunks are located in the back of this 2475BH. 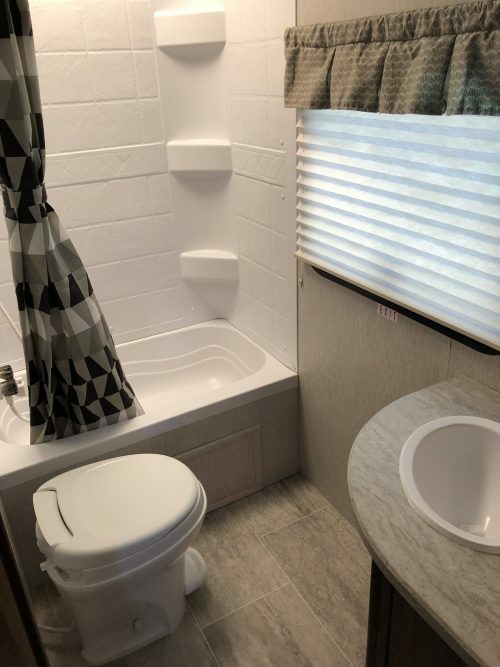 Next to the bunks is the roomie bathroom with a foot flush toilet, shower/tub, and sink. The Privet master bedroom sits in the front of this wilderness with a queen walk around bed and get storage space.